In recipes, quantities of ingredients may be specified by mass, by volume, or by count. The pint is a unit of volume or capacity in both the imperial and United States customary measurement systems. 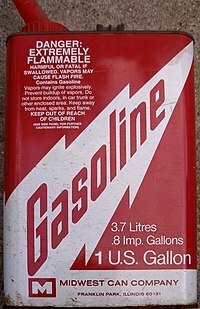 In both of those systems it is traditionally one-eighth of a gallon. 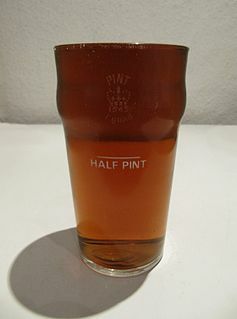 The British imperial pint is about 20% larger than the American pint because the two systems are defined differently. Almost all other countries have standardized on the metric system, so the size of what may be called a pint varies depending on local custom. Metrication is the process of introducing the International System of Units, also known as SI units or the metric system, to replace a jurisdiction's traditional measuring units. 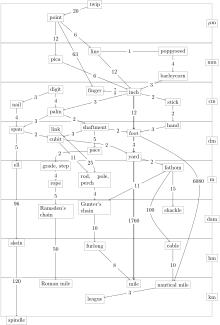 Although U.S. customary units have been defined in terms of metric units since the 19th century, as of 2019 the United States is one of only three countries that have not officially adopted the metric system as the primary means of weights and measures. Metrication in Canada began in 1970 and while Canada has converted to the metric system for many purposes, there is still significant use of non-metric units and standards in many sectors of the Canadian economy. This is mainly due to historical ties with the United Kingdom, the traditional use of the imperial system of measurement in Canada, proximity to the United States, and to public opposition to metrication during the transition period. Metrication in the United Kingdom, the process of introducing the metric system of measurement in place of imperial units, has made steady progress since the mid–20th century but today remains equivocal and varies by context. Most of government, industry and commerce use metric units, but imperial units are officially used to specify journey distances, vehicle speeds and the sizes of returnable milk containers, beer and cider glasses. Imperial units are also often used to describe body measurements and vehicle fuel economy. In schools metric units are taught and used as the norm and imperial units that remain in common usage in the UK must also be taught. Ireland gradually adopted the British imperial measurement system, fully replacing traditional Irish measure during the 19th century, and these units continued to be used after Irish independence. In 1980 the European Union asked all of its member states to convert to the metric system, and in Ireland and the UK this process was originally to have been completed by 2009. Metrication progressed in Ireland with, for example, the changeover to metric on road signs and speed limits being completed by 2005. By 2007 the changeover was far from complete, so the EU abandoned its policy to make the metric system compulsory for Ireland and the UK, allowing for both the metric and imperial systems to remain in use indefinitely. 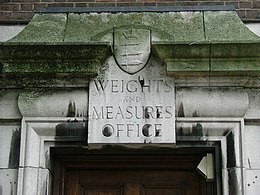 The metrication process is still ongoing in Ireland, with both measurements widely used.